LLady Bird is a coming of age story that chronicles the life of an adventurous, quirky, yet sophisticated girl that is in her final year at a catholic high school. With the film being filmed here in Sacramento, it really struck a chords for myself and many other locals. It was a movie that ticked all the boxes. It grappled with the complexities of family dynamics, it showed the hardships and ups and downs of friendship and family, and it brought up topics that are bigger than can be explained. Most of all, Lady Bird romanticized a really nostalgic, impactful and memorable time in my life - the early 2000’s. It takes place in a time I knew, it’s a familiar setting, and it’s the people I grew up with which made it a pretty surreal experience seeing it on the big screen. My friend and trivia partner, Leah, teaches at Jesuit High School, and she went to school through the diocese, and we had a conversation about the movie that I’ll try to paraphrase. I told her that I only had recently seen it shortly after the billboard had gone up celebrating its win at the Golden Globes. I had gone on a Sunday afternoon and there wasn’t a cloud as far as the eye could see. She asked me why it was important for me to tell her I saw it in the day time and then I reminded her about the end of the film when Lady Bird asks her mom, “did you feel emotional the first time you drove in Sacramento?” The camera shots are jumping around to these beautiful scenes of this city that I grew up in recognize so well. Lady Bird continues talking, “I did and I wanted to tell you but we weren’t really talking.” Then on screen we see driving down Fair Oaks as it turns into J street, before the college. “All those bends I’ve known my whole life, all the stores, and the whole thing. I wanted to tell you (dramatic pause) I love you - I love you - thank you - thank you.” I too drove home after the movie and noticed those same river bends. The ones where you can’t see beyond them, but you know it’s coming and there’s a sort of beautiful suspense in that. It was a movie that I was glad to see in 2018. Phantom Thread is a movie that starts with a persnickety, obsessive, successful dress maker by the name of Reynolds Woodcock who was ditching an old girlfriend for a new one. Eventually, he convinces his new girl friends to move into his London Town house with him and his sister. His sister is the person that seems to keep the trains running for him. The film deals a lot with his obsessions and how his new wife Alma plots to permanently keep Reynolds’ love. I remember the first day it opened in Sacramento. 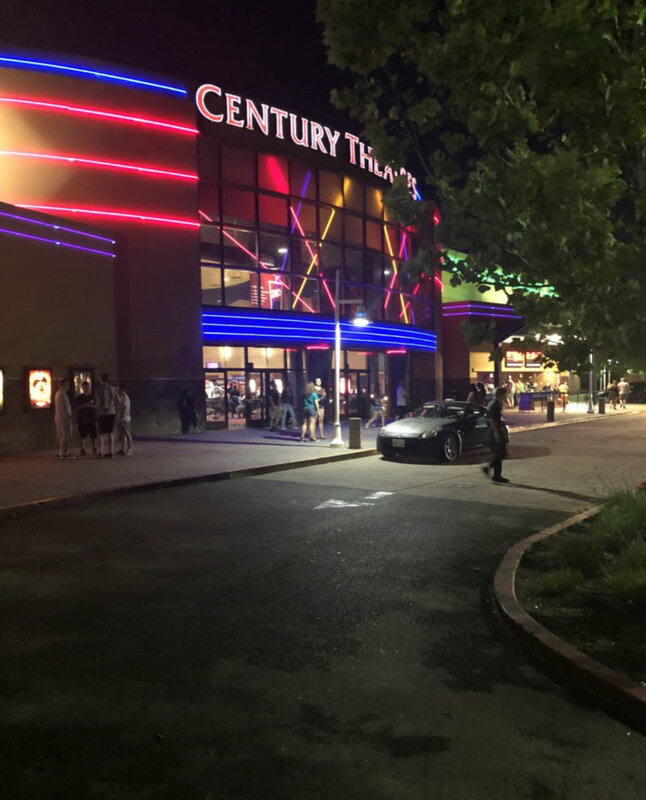 I took a half day of work on a Friday and drove to Roseville to catch a 2 pm showing. I’m always pro starting the weekend with something that’s gonna set the tone. A PTA film will definitely do that. Movies have this incredibly beautiful ability to reach through the screen and get to your heart by reflecting what is true to you. They’re amazing like that. Alongside the vibrant, elegant dresses and quirky beautiful obsessions of Woodcock it was the twist at the end that pulled me in and brought to a deeper understanding of the film. Alma, fearing Reynolds would soon grow tiresome of her presence, poisons him with wild mushrooms. The idea is that she will poison him, earn his trust by bringing him back from weakness, and demonstrate that she is the only one that truly loves him. What she doesn’t know is that on his deathbed, he runs a fever so high and he sees his mother in a white dress in the corner of the room. He is reunited with this beautiful woman that he misses more than anything. Alma becomes the thread connecting him with his life now and his past life. Get it? Phantom Thread. The real kicker/make you “feel the feels” moment for me was that he brought me back to my grandfather’s death when he saw that same white light across the room and told us he saw his mother. I left the film that day haunted by something I’ve never told anyone about. Steven Spielberg’s Ready Player One is a film adapted from a popular young adult book that made waves in recent years by its growing popularity. Ready Player One is a movie that starts out in 2044 and it follows the story arc of Perceval, a young kid from the slums of the inner city. In 2044, things are different, real life looks bleak as you see these cities which are trailers stacked on top of other trailers and it’s pretty terrible and meager how the population is surviving. Slavery is a thing in 2044, as people get themselves into debt. So as bad as things are in real life, people escape to “The Oasis” which is virtual reality in the form of a cross between Facebook, Amazon, Netflix, and Fortnight. In this Oasis is a Easter egg worth half a trillion dollars and it is Perceval’s endeavor to solve the riddles. My friend Amber and I headed downtown to see Ready Player One on the IMAX downtown on opening night. It was pretty wild time in Sacramento. Days after the Stephon Clark shooting rallies and protests were taking place downtown and the reality of the situation and the state of our city was pretty bleak. There was a lot of pain and frustration taking place just down the street from where we were heading. Something, something, something, we miss a turn, something, something, something, were a block away from the protests and the angry mob. Luckily, we turn off the street and head back and get to the parking lot and head into the movie and enter our own little oasis. Put on our disguises and see our film and laugh and connect over our love for our own trivial 80’s/90’s memories. The film starts out 20 years before present day, in Inner city Oakland with T’Challa’s dad, T’Chaka, killing his brother that is running around with the Black Panther political group in California. The film fast forwards to present day.m just after T’Chaka died in the “Captain America: Civil War. T’Challa has to come back to Wakanda and fight to take his fathers position on the throne. So T’Challa wins this fight against a competitor on top of a waterfall and at the bottom of another waterfall. The movie goes along and we start chasing Ulysses Klaw. I’ll stop here and won’t ruin the film but it’s good. One of my favorite films of story based upon the layered and in depth job that they did with the story telling. Bad guys killing bad guys but are actually good guys. So the lines are a little blurred and that makes for some better story telling. Great movie. Picks up a few years after Jurassic World and there is a debate taking place in the political sphere whether or not the US government should evacuate all of the dinosaurs from the Isla Nublar. My sister and brother-in-law came to town for a wedding this summer and so we went to a couple bars, had some dinner, and went to see this terrible, summer, Jeff Goldbloom movie in 3D. It was a more of a who you’re with night than what you’re doing night.